This is the story of Pura Belpre, New York City’s first Latina librarian. This compelling story was nominated for several awards in 2009 including the Pura Belpre Award and Jane Addams Children’s Book Award. In the winter of 1929, a pair of cousins move to New York City. The boy and girl miss their home in Puerto Rico and wonder if they will ever be happy in this big cold city. Their lives are dramatically changed when a librarian who is also a storytelling comes to visit their classroom. Her name is Pura Belpré and she manages to inspire the two children to love their local library. This is a wonderful tribute to the first Latina librarian of New York City whose name is now associated with a prestigious literary award. 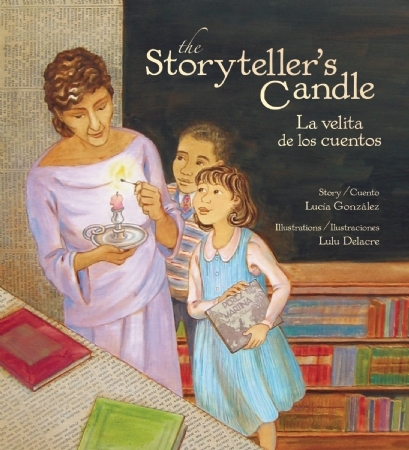 Presented in both English and Spanish on facing pages, this story can inspire a preschooler to visit his or her public library.